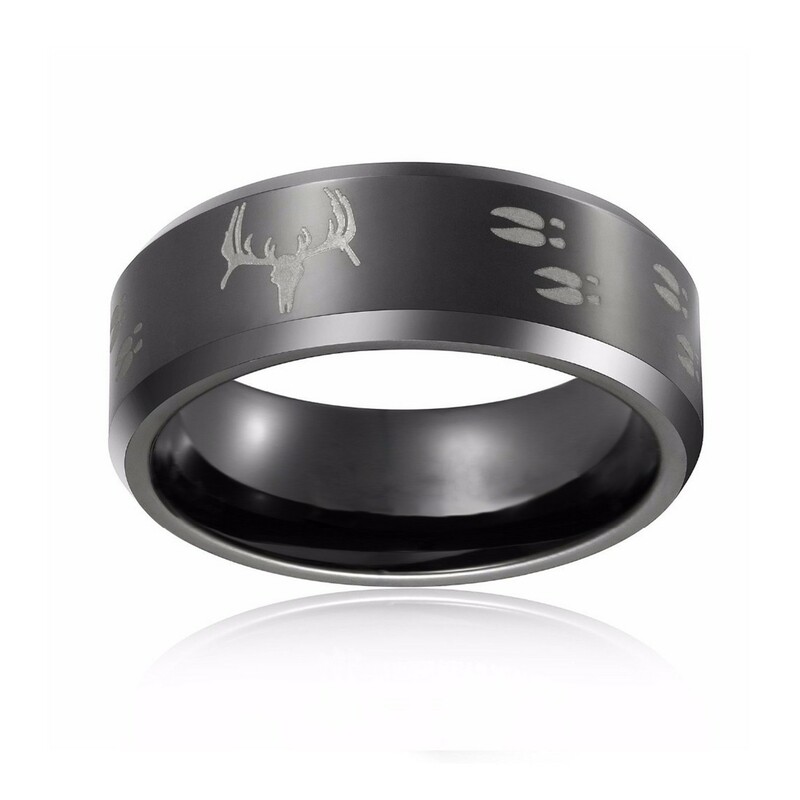 This laser etched deer head tungsten ring design style is very unique. 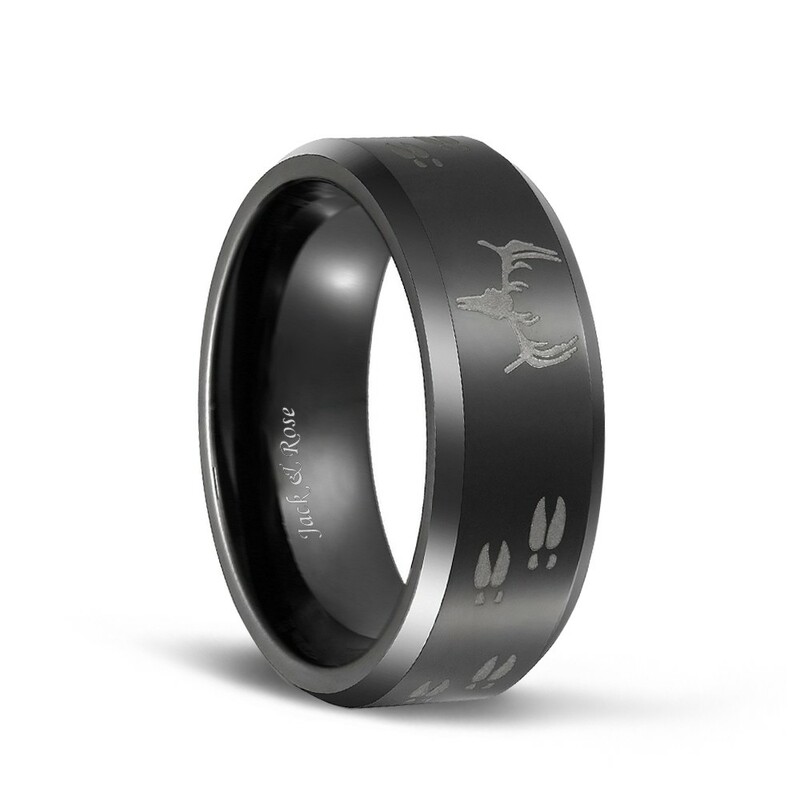 This hunting-style ring is engraved with deer heads and the scenes are lifelike. It's very popular with men. It is very suitable as a birthday present, anniversary gift, wedding gift, promise gift, and so on. 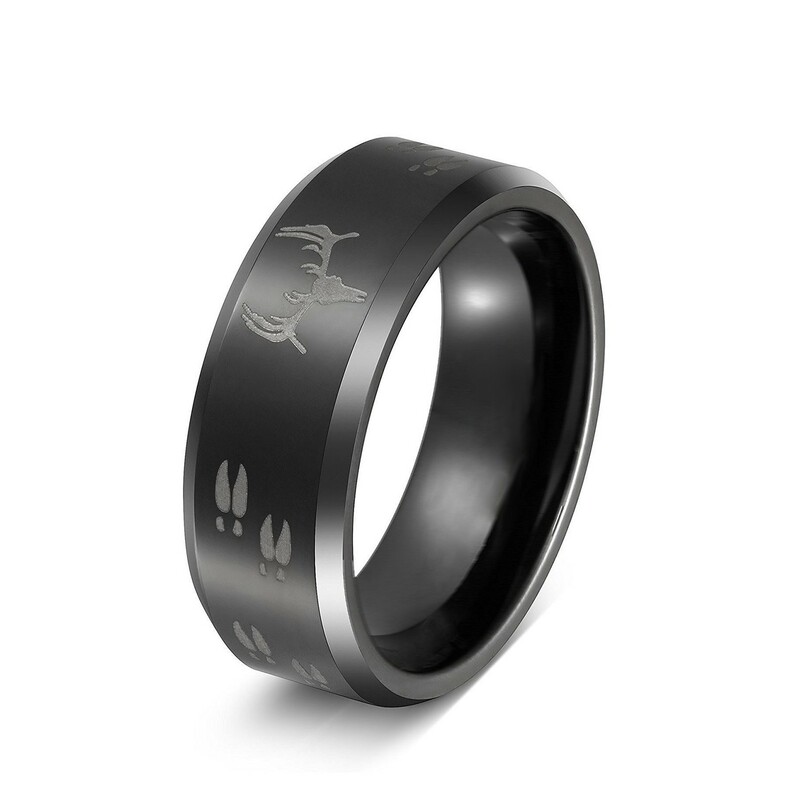 Black is a very classic color, and most people can't help but fall in love with this black wedding bands. Free shipping! I got this for my fiancé and he loves it. He's a mechanic and he says all the time is impossible to scratch. It fit perfectly and came quickly very happy with it. My husband wears this as his wedding band and it's very sharp to the eye! He dose a lot of hands on type of work and it doesn't scratch! Husband loves it! 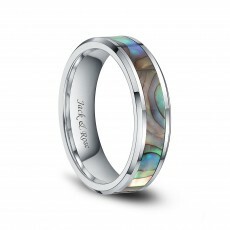 Beautiful ring, nice packaging. Love it!!!! Bought it for my hubby after his last one broke, he absolutely loves it. So many compliments on it already and def one of a kind!!! He had a grey one before and he really likes that this one is black. 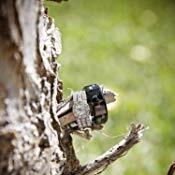 My husband LOVES his wedding band, it’s sturdy (heavy). Looks so good! Fits perfect! I love this ring, the etching is very smooth and clean. There is a nice shine to it. It is definitely a different feel than the gold band Ive worn for the last 16 years. Nice ring, size runs smaller. He was surprised and pleased. 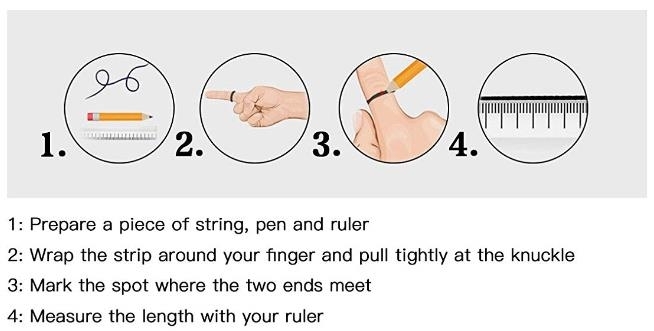 Maybe you can go to a local jeweler to measure the finger size, or you can go to any of our store's product pages and find "SIZE CHART" below, where you can find detailed measures of finger size. 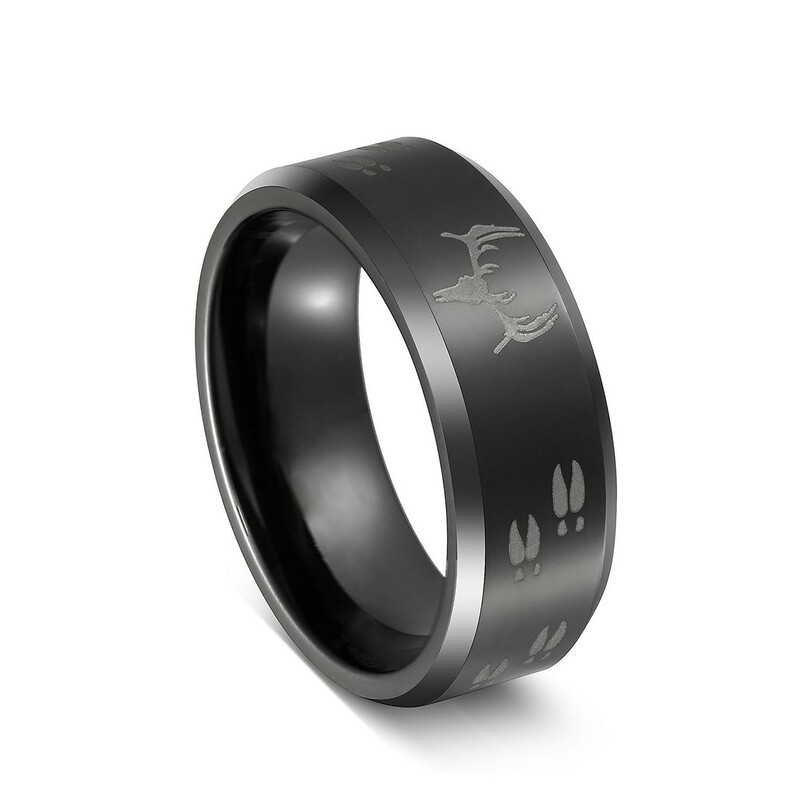 Hello, it is tungsten carbide, it will not break easily, of course you can not deliberately force it to beat it. 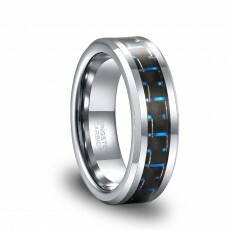 Because this ring is made of tungsten, tungsten is a bit heavy, but it won't make you feel uncomfortable. Hello, please rest assured to wear, our ring is hypoallergenic and will not make your fingers allergic. No, it won't make your fingers green, please don't worry.